Yay for wedding gifts! 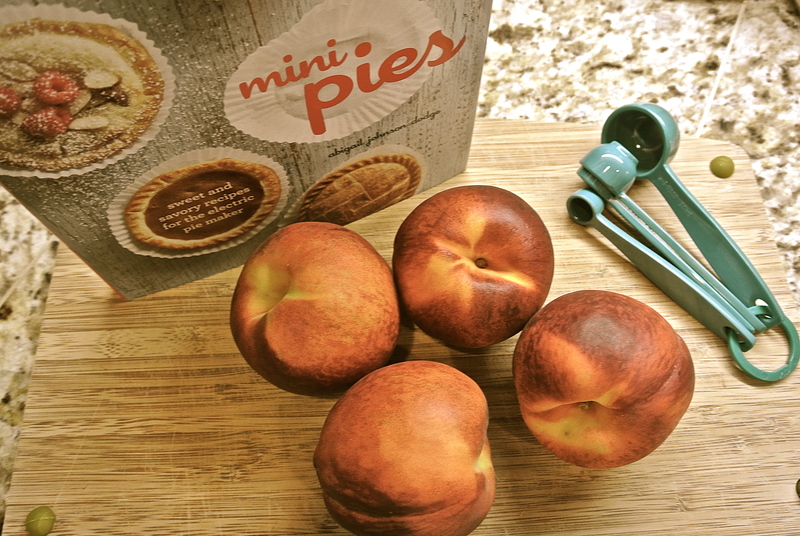 My bff, Amanda, got me this awesome Breville Electric Pie Maker that makes 4 miniature pies at a time. She also got me the Recipe Book and Pie Lifter. So amazing! 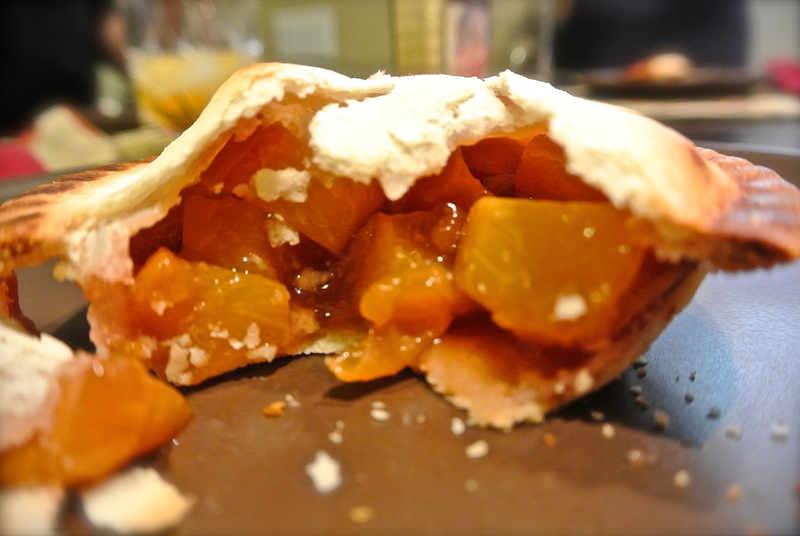 You can make sweet and savory pies, or even both at the same time! Since my fiance is on his vegetarian kick still, I can easily make 2 veggie, and 2 with meat. You can make your own pie crust, but I chose to use a pre-made crust from the refrigerated section of my local Trader Joe’s. I should have gotten puff pastry for the top of the pies, but I forgot. Next time for SURE though! You’ll want to top these with puff pastry, not regular pie crust. The pie maker comes with a dough cutter that cuts your bottom and top dough to the perfect size. 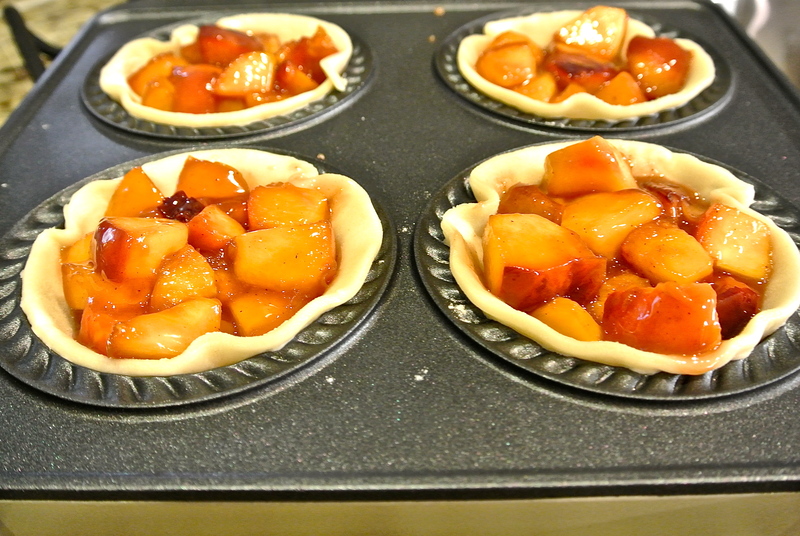 Use the larger one for the pie crust, bottom. And the smaller one for the puff pastry, top. Plug your pie maker in and let it pre-heat. 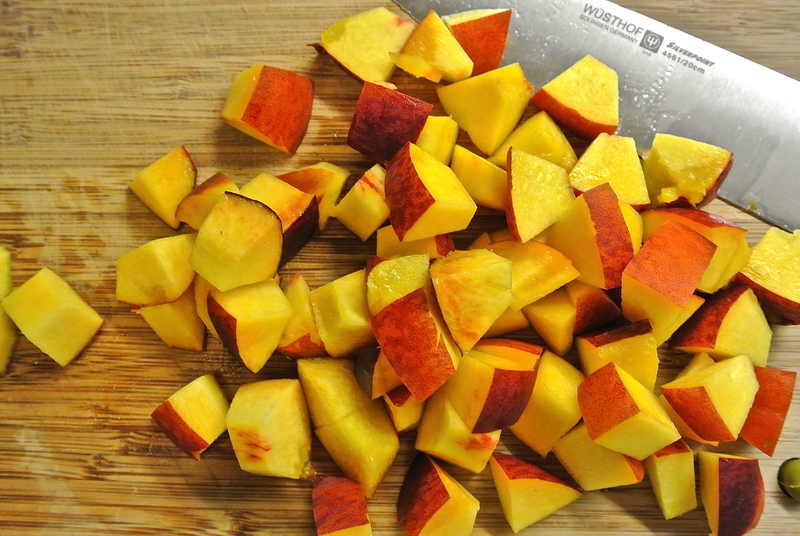 In a saucepan over medium-low heat, combine the peaches, brown sugar, cinnamon and salt. Cook, stirring frequently, until the sugar dissolves, about 2 minutes. Stir in the cornstarch mixture and bring to a boil. Cook, stirring constantly, for 1 minute, then remove from the heat. Stir in the vanilla. After you’ve cooked the filling, you sort of need to work quickly. Your pie maker will be hot, so be careful. 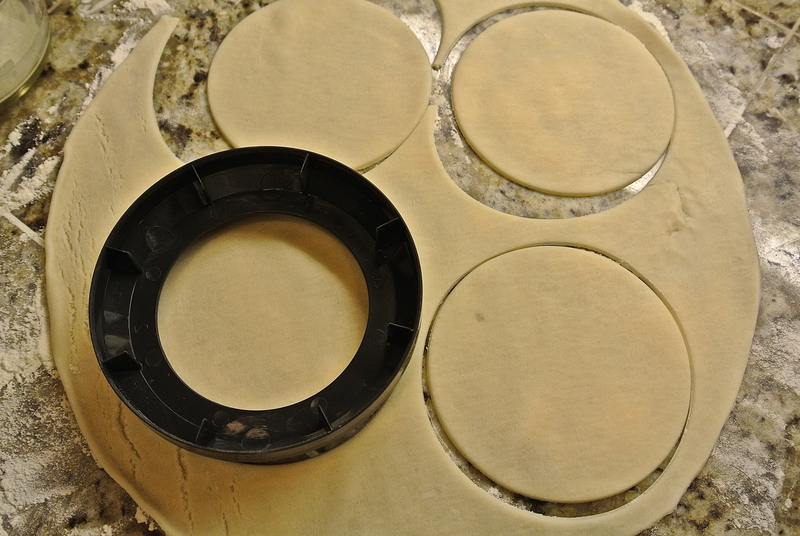 Lay the dough in each pie area, lightly using your fingers to mold it in place. Using a 1/3 measuring cup, add filling to each. Top with puff pastry and close the lid! Pies will be cooked and ready in about 10min. I made my pies much earlier than I needed them, which is fine. 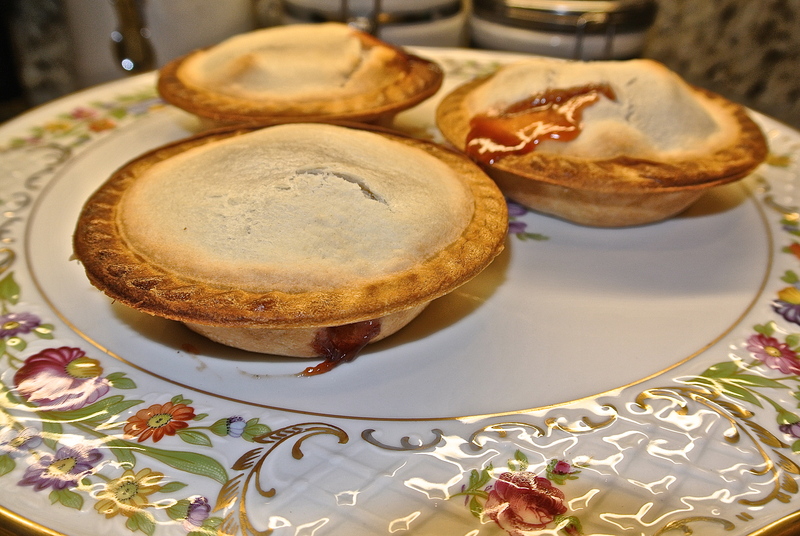 You can easily plug the pie maker back in and reheat your pies in about 3min! Its such an easy and fun thing to use! I cant wait to try making some savory pies! As of a few months ago, I never knew white sweet potatoes even existed! My bff is doing the whole Paleo diet thing, and was coming for dinner so I decided to get her a sweet potato since we were having something on the side that wasn’t paleo friendly. I dont usually eat (orange) sweet potatoes, “Im just not that into you”, so when I was at the store I accidentally grabbed a white one. When dinner was done, we both realized this potato was WHITE! Well, more yellow, but you know what I mean.. it wasn’t orange. She absolutely loved it! I tried a bite and fell head over heels. Since I’ve been trying to eat healthier, this was the perfect way to change out eating bad white potatoes. And now that Hubs has been on this vegetarian thing for almost two months now. I originally thought he was only going to do it for a month, but it sees to have stuck. Since he has been home more often lately (yay!) 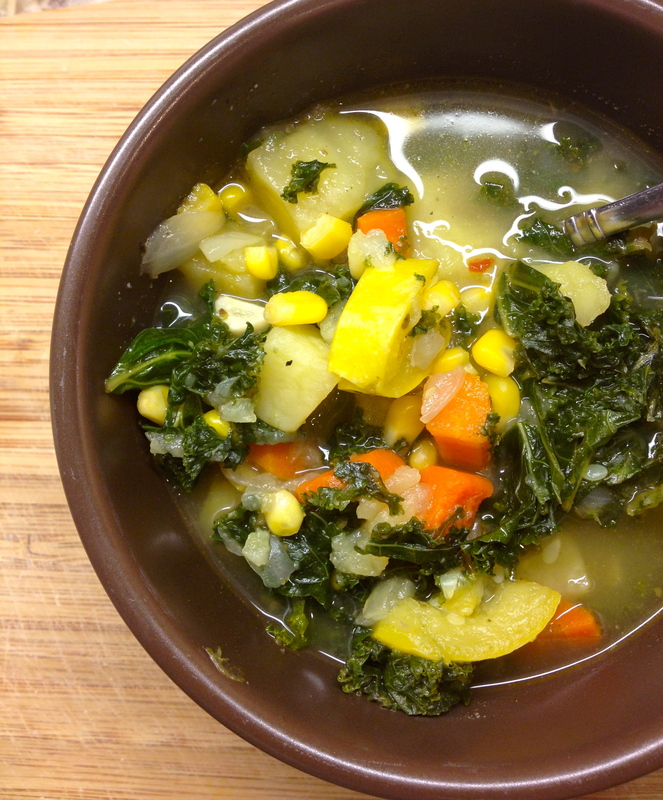 I have been incorporating more vegetarian dishes lately. 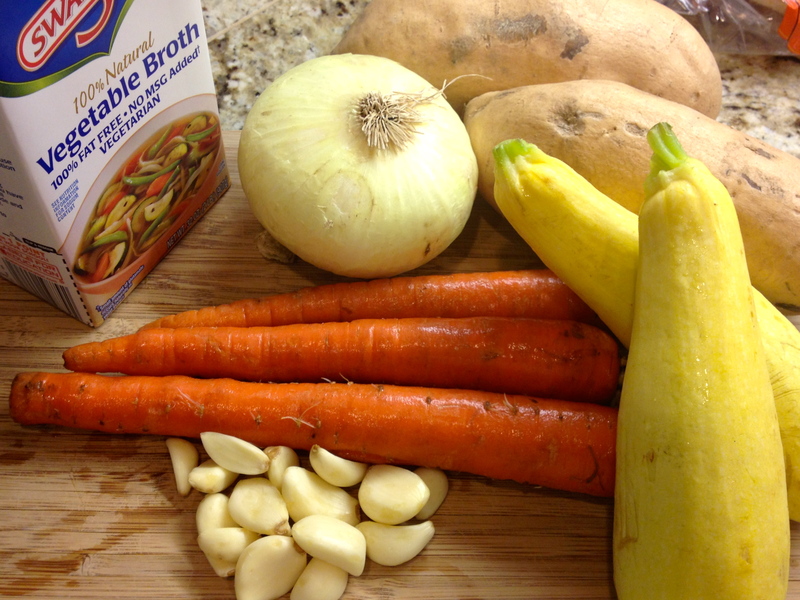 In a large stock pot add 2 tablespoons of EVOO and let it heat until glassy. Add carrots, onion, and garlic. Cover with as much seasoning as you’d like. Honestly, I never measure seasoning… I like my food flavorful and just add until things are covered. Stir it all around and let it simmer for about 10min with the lid on. Add potatoes and corn, stir together. Add both cartons of broth, kale, and more seasoning. Be as light or heavy with the Chili as you’d prefer. I was accidentally a little heavy handed with mine, but its not bad! Hubs likes heat, so he’ll appreciate it. Turn the heat to medium and let it simmer until potatoes are tender to your liking!